Over the last decade, farmers and landowners across the Midwest have witnessed land prices make a steady climb, only leveling off in the last couple of years. While talk of a land market bubble persists, farmland investment analysts are not so quick to hop onto the bubble bandwagon. In fact, many continue to laud investment in agricultural land as a solid investment option, even despite lower commodity prices and acres that continue to level out. According to Forbes contributor Joshua Rogers, a landowner who bought land in 2000 and sold it in 2013 would have earned a 12.6 percent annualized return on his investment, not including the proceeds from farming the land or leasing it out to a farmer. One needn’t be an investment guru to understand the significant ROI on such an investment, and many actual investment analysts see a number of other reasons to hang on to farmland. One reason is the continued increase in the global population and the resources needed to feed that population. According to global statistics analysts, the world population increases by 200,000 persons each day, while the total of 4,973 million hectares of agricultural land amounts to an average of 0.74 hectares per person. Put simply, amount of arable land worldwide is far outpaced by the growing population. Since the amount of arable land worldwide is finite, farmers across the globe continue to find ways to meet the demand that a growing population requires. It’s no wonder that many outside investors are seeking to obtain hard assets that are critical to civilization, and while the supply and demand forces that act on land values and crop prices are complex, it’s hard to argue with their reasoning. Another reason to invest in farmland is due to the soaring demand for biofuels. CNBC.com contributor Richard Murphy notes that ethanol production accounts for 23 percent of total corn utilization, according to the Renewable Fuels Association, a significant portion of the total amount. These things, along with global crop yields that are leveling off after the great advances over the last several decades in that area, all join to make investment in farmland a solid decision. While those looking to investing in agricultural land may have missed out somewhat on the great returns of the last decade, the emotional value of those who were born into farmland shouldn’t be dismissed, and certainly is less easy to quantify in financial terms. The value of holding onto farmland that has been in the family for decades is significant, and especially in terms of retirement plans. However, if the notion of selling farmland isn’t an emotional issue, there are many options for those who would like to sell their land without incurring capital gains taxes, such as exploring a 1031 Exchange. Are you concerned about the potential ROI of your land asset, or looking to invest in Nebraska farmland? Please talk to one of UFARM’s land professionals—we are happy to discuss all the options available to you. UFARM offers a full range of Nebraska land management services, including real estate sales, rural property appraisals, consultations and crop insurance. UFARM has operated in Nebraska since the early 1930’s. Contact us today! Sources consulted: “Farmland Investment Report.” Farmlandinvestmentreport.com. Web. 16 Jun. 2015. Murphy, Richard McGill. “The Best Long-Term Real Estate Investment: Farmland.” CNBC.com. CNBC. 24 Mar. 2014. Web. 16 Jun. 2015. Rogers, Joshua. “Dirt Cheap? Investors are Ploughing Into Farmland, Here’s Why.” Forbes. 23 Sep. 2014. Web. 16 Jun. 2015. 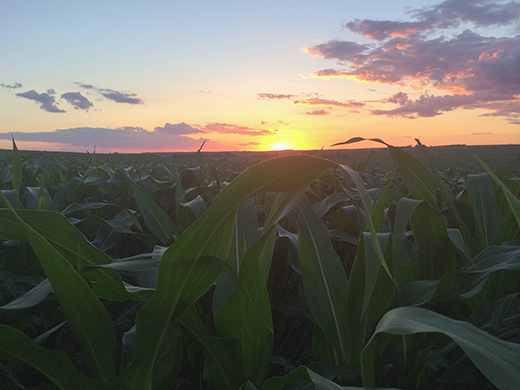 Where are 2015 Nebraska Farmland Values heading? Farmers and agricultural analysts have been forecasting a correction in land values for a time, and according to new data, their predictions have come true, although we may be in for a softer landing than some might have initially anticipated. Following the general price trends for the record-setting high cattle and lower grain markets, corresponding ag land values have followed suit to their supported commodities. According to preliminary data from the University of Nebraska-Lincoln’s annual Nebraska Farm Real Estate Market Survey, weighted land values for the state declined 3 percent over the last 12 months. This is the first decline indicated in several years of the survey. Delving into the particulars of the survey, dryland cropland had the strongest rate of decline in the state, at a 10 percent decrease, when compared with center-pivot and gravity irrigated cropland. In contrast, pasture and cow-calf pair rental rates increased about 15 percent across the state due to higher cattle prices and drought assistance provided by the Livestock Forage Disaster Program (LFP). While cropland was lower, land that supports the cow-calf industry, including tillable and non-tillable grazing land, and hayland, was anywhere from 10-20 percent higher. Hayland, in particular, saw the higher increase in value, with the strongest increases in the Northeast and Central parts of the state. Irrigated cropland—both gravity and center-pivot—reported a decline of about 3 percent statewide. This lower rate of decline was attributed by survey respondents to generally higher and more consistent yields in comparison to dryland yields. 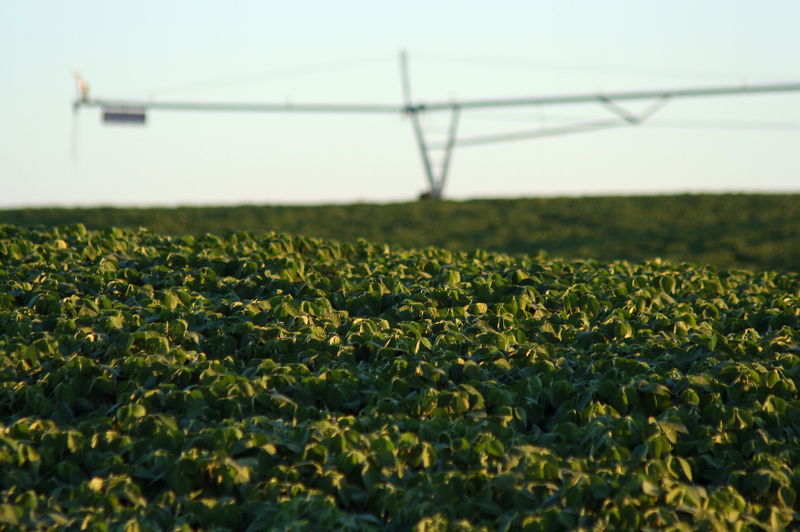 The Central District of Nebraska reported the sharpest decline in the irrigated land class, at approximately 14 percent, with slight decreases reported in the Northeast, East, and Southeast Districts of Nebraska. Cash rental rates for both irrigated and non-irrigated farmland decreased as well, anywhere from 5-15 percent across the state. Survey participants were not hopeful that these prices were ready to bounce back any time soon, either, with overall bearish projections based on lower grain and oilseeds prices. While the trend seems to show overall decreases in land values for the foreseeable future as long as commodity prices remain low, it should be noted that land values don’t always follow the market trends. If you have questions regarding the value of your land asset, please don’t hesitate to meet with us at UFARM. We are here to answer all your land market questions. UFARM offers a full range of Nebraska land management services, including real estate sales, rural property appraisals, consultations and crop insurance. UFARM has operated in Nebraska since the early 1930’s. Contact us today! Sources Consulted: Jansen, Jim and Roger Wilson. “2015 Trends in Nebraska Farmland Values and Rental Rates Reflect Changes in Agricultural Commodity Prices.” University of Nebraska-Lincoln Agriculture Economics. University of Nebraska-Lincoln. 04 Mar. 2015. Web. 15 Apr. 2015. Caldwell, Jeff. “ Farmland Metadata and Precision Ag Influencing Land Prices?” Agriculture.com. Meredith Agrimedia. 14 Apr. 2015. Web. 15 Apr. 2015.
https://ufarm.com/wp-content/uploads/2017/01/UFARMlogo-tagline-300x95.jpg 0 0 UFARM Managers https://ufarm.com/wp-content/uploads/2017/01/UFARMlogo-tagline-300x95.jpg UFARM Managers2015-04-21 01:39:422015-04-21 01:39:42Where are 2015 Nebraska Farmland Values heading? Farmers and landowners generally focus on crop production, and land management often falls to finding ways to improve the land in order to increase yields and profit margins. Fortunately, many land improvements that build up natural wildlife habitats are also found to be beneficial for improved crop production as well. Creating places for native wildlife to live and thrive offers many benefits to farmers and landowners. 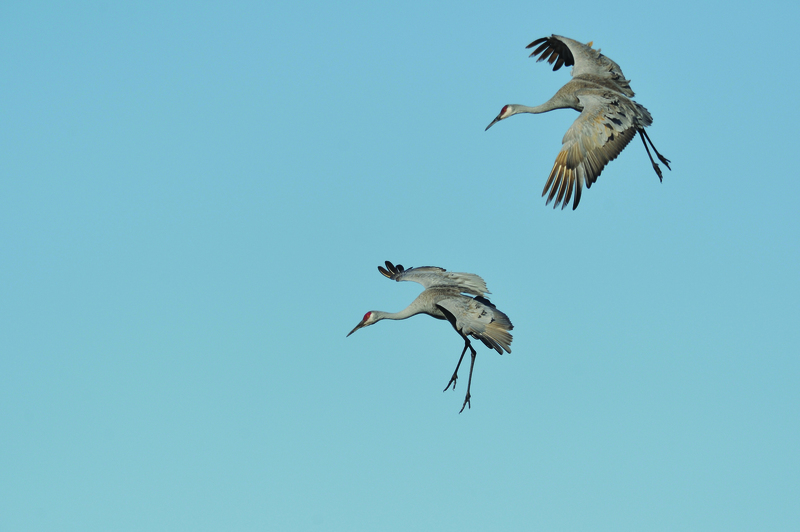 Abundant wildlife populations provide excellent hunting and fishing opportunities. Management practices that improve wildlife habitats can also help improve soil moisture, improve water quality, and prevent soil erosion, all which benefit crop production. Improvements such as windbreaks can reduce home energy costs, as well as fuel and cattle feed costs. Some landowners are able to receive extra income by establishing public or private wildlife preserves on their land as well. There are simple steps you can take if you’re looking to manage your land for wildlife. The first is to determine your basic objectives. Do you wish to generate income with your improvements? Or provide more hunting ground? Whether you’re looking to achieve major changes, such as re-creating wetlands, or more minor changes, such as field-corner food plots, it’s necessary to have your end-goal clearly delineated so that you can know the best way to move forward. Secondly, take a close look at your land inventory. What do you have to work with already? Determining the areas that you already have, and where they’re located, is important. For instance, do you have existing wetlands, or lots of edges? Wooded areas or streams? Knowing what you have to work with will help you further create prime natural habitats for wildlife on your land. Finally, make the production decisions that fit well with your goals, what you have already, and your personal qualities. If necessary, see if there are opportunities for financial assistance and seek out technical assistance for advice. Conservation tillage- Provides food for wildlife, improves soil moisture and reduces tillage costs. Grassed waterways- Provide food and cover for wildlife, as well as reduce erosion. Wetland enhancement and restoration- Provides food and nesting areas for waterfowl and other wildlife, maintains quality groundwater, and reduces flooding by slow absorption and slow release of spring runoff. Field borders- Provide food and cover for wildlife, and prevent snow drifting and soil erosion. Food plots- Food plots such as grains, legumes, and grass provide over-winter feeding areas for wildlife and act as snow fences. Windbreaks, shelterbelts, and living snow fences- Reduces cattle feed costs, soil erosion, and heating expenses, as well as conserve soil moisture. Whether you’re looking to improve your soil quality, expand your hunting acres, or derive extra income, taking these steps to manage your land for increased wildlife is a great way to carry out your vision. Feel free to contact a UFARM representative with your questions about wildlife management on your land. UFARM offers a full range of Nebraska land management services, including real estate sales, rural property appraisals, consultations and crop insurance. UFARM has operated in Nebraska since the early 1930’s. Contact us today! Sources consulted: “Managing Your Land for Wildlife.” University of Minnesota Extension. Web. 19 Jan. 2015. Can a Land Manager Help Me Sell My Land? The time has finally arrived; although no farmer ever officially “retires,” you have decided that, for financial and tax considerations, or perhaps for the benefit of the next generation, the farm will need to be sold. Perhaps you are not actively farming your land, and have decided to let it go. Or, perhaps you’re desirous of selling land and buying land in addition. While the sale of land may initially seem like a fairly straightforward endeavor, many come to discover that in certain respects, they’re out of their depth. For instance, how does one know if they’re in the best position to sell their land at the top price? What about making improvements on the land to increase its selling price? What about tax issues that may arise as the result of a large sale? Perhaps the intent to derive retirement cash flow with the sale of farmland; if so, what is the best way to go about ensuring that one’s retirement income is safe for the duration? These, and many other considerations, are why more and more people are hiring professional land managers in order to help them sell their land. They recognize the importance of hiring a qualified real estate professional who understands the agricultural landscape and market. Especially over the last several years, with burgeoning land values and volatile grain markets, it’s becoming more crucial for those in a selling position to have the advice of someone who is involved with these sorts of transactions on a daily basis. Often times, when selling the farm is more of a family affair where the needs and interests of multiple parties must be considered, a professional land manager can be a great asset by serving as a fair and impartial liaison between parties. Even among families with good relationships, the stress brought on by selling the farm—which can be considerable, especially adequate estate planning hasn’t taken place—can cause tensions to flare. A land manager’s presence and expert input can be a critical component in ensuring a successful and mutually beneficial transaction for everyone involved. Professional land managers are also a great asset when it comes to making sure your property is publicly advertised and exposed to the correct markets with the most buying potential. Farm managers have spent years building up networks and relationships, and often have insider’s information that laypeople do not. This simple fact can mean a considerable amount when it comes to selling those acres. Are you in a position where you need to sell land? Are you concerned about making sure you get the most out of your asset? Please don’t hesitate to contact a UFARM land professional. We are happy to discuss your concerns with you, and help you form a plan of action for achieving your goals for your farmland. https://ufarm.com/wp-content/uploads/2017/01/UFARMlogo-tagline-300x95.jpg 0 0 UFARM Managers https://ufarm.com/wp-content/uploads/2017/01/UFARMlogo-tagline-300x95.jpg UFARM Managers2015-01-14 18:13:192015-01-14 18:13:19Can a Land Manager Help Me Sell My Land? Why Is Farmland a Good Long Term Investment? It’s no secret that farmland values have boomed over the last decade. Many farmers and outside investors have bought and continue to buy up land to pad their investment portfolios. Despite the decreasing commodity values of the last year, many economists continue to be optimistic about buying land as a long-term investment. Commodities investor Jim Rogers, who founded the Rogers International Commodities Index, is part of an increasing number of farmland investors hoping to benefit from the growing world population’s need for food. With a world population that is expected to grow from 7 billion to 9 billion by the year 2050, and the projected arable land to decrease steadily in the same time span, the case for farmland investment worldwide is a good one. There are many other factors contributing to the desirability of quality farmland. One is that the increase in population will occur largely in the developing world, where rising incomes will contribute to higher meat consumption. Increasing livestock consumption creates a demand for grain and water, so farmers worldwide will rise to the demand by putting out more crops and farming more acres. Another driver of the farmland market boom is the demand for biofuels, such as ethanol. These factors, combined with a worldwide leveling off of yields after the many advances of the last 40 years, put owners of quality farmland into excellent position to benefit financially in the long-term. While outside investors continue to be bullish about quality farmland, others emphasize the need use caution before jumping headfirst into the farmland market. While land values have risen dramatically over the last decade, they are set to level off as commodity prices do the same. While farmland continues to be a solid way to invest your capital for the long-run, it’s important to evaluate your financial situation carefully before buying land in 2015. Are you considering buying land, or do you have concerns about the value of your farmland going forward? Contact UFARM—we’re happy to talk with you about your land asset. UFARM offers a full range of Nebraska land management services, including real estate sales, rural property appraisals, consultations and crop insurance. UFARM has operated in Nebraska since the early 1930’s. Contact us today! Sources consulted: Murphy, Richard McGill. “The best long-term real estate investment: Farmland.” CNBC.com. CNBC. 24 Mar. 2014. Web. 16 Dec. 2014. Stewart, Jennifer. 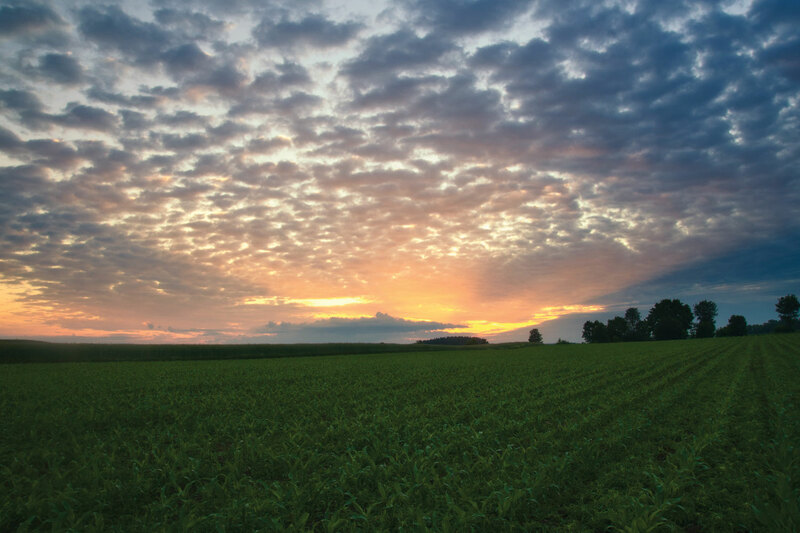 “Farmland value shift signals need for cautious purchasing.” Purdue University News. Purdue University. 13 Feb. 2014. Web. 16 Dec. 2014.
https://ufarm.com/wp-content/uploads/2017/01/UFARMlogo-tagline-300x95.jpg 0 0 UFARM Managers https://ufarm.com/wp-content/uploads/2017/01/UFARMlogo-tagline-300x95.jpg UFARM Managers2014-12-18 20:59:272014-12-18 20:59:27Why Is Farmland a Good Long Term Investment? 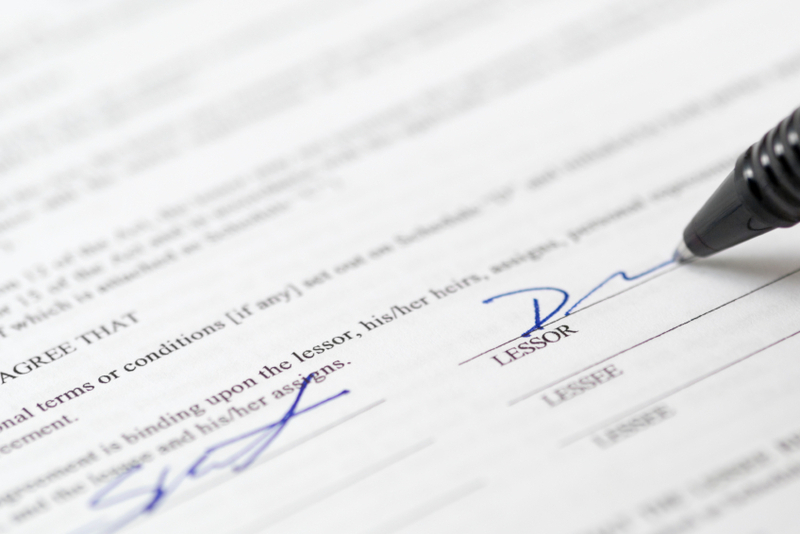 What Does A Well-Written Farm Lease Really Cover? One of the most overlooked aspects of farming deals with leasing agreements. 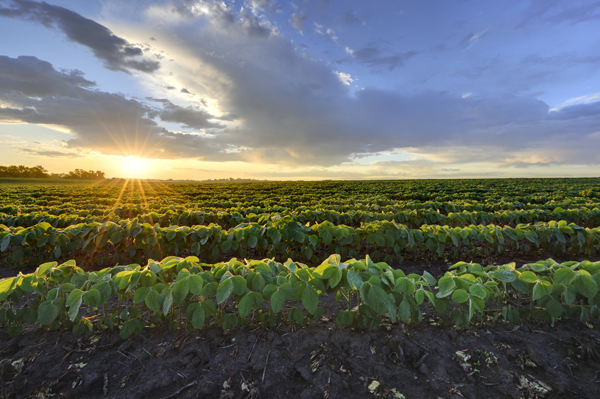 With over half of the agriculture land in Nebraska rented, it’s important for landowners and farmers who lease land to recognize the importance of a well-written lease agreement. Where a handshake was enough in many cases in the past, the nature of farming today is a bit more complicated, and the necessity of having a well-designed legal agreement is paramount. A leasing agreement, down on paper, benefits both landowner and tenant. Each party is able to outline their responsibilities, rights, desires, and needs ahead of the growing season, so there are no surprises that could compromise the good nature of the agreement. As anyone who has ever dealt with a difference of opinion could attest, proactively avoiding potential issues ahead of time can save time, money, and a great deal of headache for both parties involved. In addition to these basics, it’s often good to recognize some commonly misunderstood landlord rights, so that the leasing relationship runs smoothly, and hopefully for many years. Usually these are addressed by a written lease, so that they do not become issues during the growing season. One such misunderstanding regards farming practices; a well-written lease will make it clear that the tenant/farmer is in charge of how the land is farmed, unless otherwise agreed upon ahead of time by both parties. Another issue that can arise is when the landlord can come onto the land; without a written lease, this can only be to make repairs or to collect rent. Should both parties like to amend this, it should be decided upon when the lease is put together. Sometimes, the landowner decides he/she wants to sell the land before the lease agreement is up. It should be understood that the new buyer is responsible for the existing lease agreement. Another important concept that written leases address is when a landowner can raise the rent, if so desired. In Nebraska, a landowner cannot raise the rent for the next year after September 1. Finally, with rifle season just around the corner, it’s good to remember that landowners don’t necessarily have the right to hunt on the land they rent without the tenant’s permission. Addressing this in the written lease may help avid hunters avoid potential headaches the third weekend in November. It cannot be overstated that good farming relationships start with a well-crafted lease, written down on paper. If you’re looking to update your leasing agreements, contact UFARM for advice on how to accomplish this goal. UFARM offers a full range of Nebraska land management services, including real estate sales, rural property appraisals, consultations and crop insurance. UFARM has operated in Nebraska since the early 1930’s. Contact us today! Sources consulted:“Five Myths of Landlord Rights.” Cropwatch. University of Nebraska Extension. University of Nebraska-Lincoln. 02 Oct. 2014. Web. 10 Nov. 2014.“Good Reasons for a Written Lease.” Prairie Farmer. Farmprogress.com. 05 Aug. 2011. Web. 10 Nov. 2014.
https://ufarm.com/wp-content/uploads/2017/01/UFARMlogo-tagline-300x95.jpg 0 0 UFARM Managers https://ufarm.com/wp-content/uploads/2017/01/UFARMlogo-tagline-300x95.jpg UFARM Managers2014-11-12 16:56:092014-11-12 16:56:09What Does A Well-Written Farm Lease Really Cover? As farmers across the state are becoming reacquainted with their combines, and are bringing in high yields, they are also dealing with lower grain prices. With grain prices heading south, it’s no surprise that Nebraska land values are being similarly affected. Nebraska farmland values remain strong, but a slow down is beginning to show. Non-irrigated farmland in the Nebraska rose 3.7 percent from a year earlier, while irrigated farmland rose 2.3 percent. Grain prices continue to be a worry and farmers and market analysts are anxiously anticipating Friday’s next WASDE report from the USDA to further gauge grain futures. While the outlook doesn’t look great, all is not total doom and gloom. Besides farmers who sold some of their 2014 crop above today’s market prices, federally subsidized crop insurance and new programs in the latest Farm Bill will provide safety nets and perhaps allay the fears of many producers. Despite these safety nets, however, farmers and landowners undoubtedly face challenges. Experts expect the agricultural sector to enter a downward cycle, though it’s unclear if this will be a multi-year issue or not. Interest rates may see an increase as well in the near future, also undoubtedly at the forefront of many farmers’ minds. In addition to these challenges, farmers face tough decisions about when to sell their grain. However, according to Ainsworth West Plains Bank president Michael Kreycik, farmers should be able to absorb a few years of low prices and even losses. He says, “I think our loan customers are in a better position now than they were in 1980 to absorb a higher rate of interest and softening of land prices.” A key factor for many farmers and landowners will be if interest rates begin to rise—if so, that could pose a problem for many. At any rate, this could be a test for the 2014 Farm Bill’s safety nets, as some economists are predicting substantial payments under the new law to grain farmers this year. Do you have concerns about changing land values? Are you looking for ways to protect your land investment? 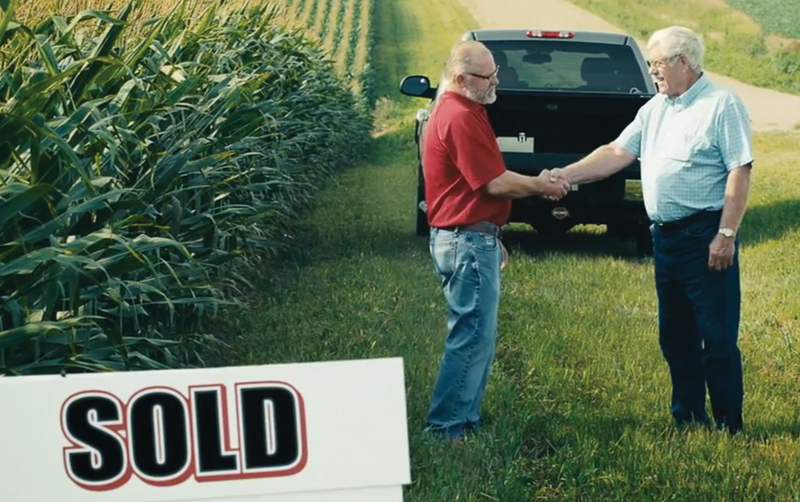 Contact a UFARM land manager—they’ll help you make the right decisions. United Farm and Ranch Management (UFARM) is a Nebraska-based company devoted to meeting landowners’ needs. UFARM offers a full range of Nebraska land management services, including real estate sales, rural property appraisals, consultations and crop insurance. UFARM has operated in Nebraska since the early 1930’s. Contact Us. Sources consulted: Hubbard, Russell. “Fed Survey: Lower Grain Prices Limit NE Farmland Values.” Omaha.com Money. 15 Aug. 2014. Web. 06 Oct. 2014.; Jordon, Steve. “With No Sign of Increased Demand, Farmers Battle Falling Corn Prices.” Omaha.com Money. 03 Aug. 2014. Web. 06 Oct. 2014. What Value Can A Land Manager Add To My Land Investment? Owning a farm or ranch is an investment with a unique responsibility. As a steward of the land, natural resources are under your control. Your financial contribution as a landowner also has the potential to allow a tenant operator to maintain a farm lifestyle. With land investor participation, farmer operators can rent at least some of the land they farm. Because of the high capital involved in both land and equipment, many young farmers in particular depend upon the availability of rented land. Arranging leases, supervising tenants, and managing accumulated or inherited farm property is more time consuming than most non-farm residents anticipate. The string of decisions that must be constantly made often poses problems for the absentee owner. A popular solution is to depend upon a qualified land management team to implement a managerial plan to oversee an income-producing operation and to preserve the property’s resources. When selecting a management partner, consider proximity to the managed property, this helps ensure that visits are made to the property on a consistent basis. Once a management agreement is signed, the land management company prepares an inventory of all assets involved. The land manager goes through a check-in process to itemize specific details of the property. This inventory includes FSA aerial photos, NRCS soil maps, previous crop history, and a complete listing of buildings or structures. Insurance is reviewed at this time to determine that the site has adequate coverage at the best rate. Property tax valuations are also reviewed, and compared with other properties to determine that the farm is not being unfairly assessed. There are far too many day-to-day responsibilities to itemize, but whatever needs to be done or whenever an opportunity arises, your land manager will work on your behalf. They have the experience and education to manage production inputs and improve margins that will make the operation profitable and sustainable. Remember to choose a farm management company that lets the landowner choose their level of involvement. As an owner you want to make sure you are kept up-to-date, are informed of decisions made, and are asked for approval when necessary. When looking for experienced land management, make sure to consult with the professionals at UFARM to help you get the most from your investment. United Farm and Ranch Management (UFARM) is a Nebraska-based company devoted to meeting landowners’ needs. UFARM offers a full range of Nebraska land management services, including real estate sales, rural property appraisals, consultations and crop insurance. UFARM has operated in Nebraska since the early 1930’s. Contact Us. https://ufarm.com/wp-content/uploads/2017/01/UFARMlogo-tagline-300x95.jpg 0 0 UFARM Managers https://ufarm.com/wp-content/uploads/2017/01/UFARMlogo-tagline-300x95.jpg UFARM Managers2014-10-02 15:24:132014-10-02 15:24:13What Value Can A Land Manager Add To My Land Investment? One of the more difficult aspects of owning farm or ranchland deals with how that land will be transferred to the next generation. In particular, identifying the correct process by which to pass on that land to children is one of the most important parts of estate planning. The good news is that successfully gifting land to the next generation needn’t be as difficult as it might initially seem. 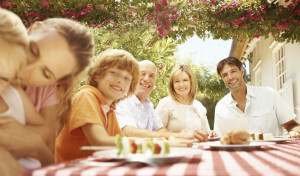 For many people, estate planning gets pushed to the back burner for years. Some people feel they’re too young to worry about such things yet; others are reluctant to discuss estate planning for fear of bringing about family quarrels. Often times, the younger generation doesn’t bring up the need for a plan because they don’t want to be considered greedy about their inheritance, or they don’t want to think about their parents growing old. Undoubtedly, these are all valid concerns. However, should necessity arise, and an estate plan is not in place, the problems that result can be significantly more troublesome. A great place to start is to identify—first as an individual, then a couple (if married), and finally, as a group/family unit—the goals that are important in the planning and transfer process. Think these through thoroughly, and jot them down. Having a clear purpose in mind, and reconciling the different goals at each level, is often the greatest hurdle in the planning process. Knowing and then discussing these goals—which are usually based on the values held important to each party—allows both generations to feel that their needs are being considered in the process. The next step is to consider ownership options. Should titles and business structures be changed? Enlisting the help of an attorney, an accountant, a financial planner, and a professional farm and ranch manager, is the best way to make sure that the needs of both parties are met in an effective way. Finally, one must choose the method by which they will pass on taxable wealth. This could be a direct cash transfer, a direct land transfer, or a FLP, LLC or LLP Unit Transfers. An FLP (family limited partnership), LLC (limited liability company) or LLP (limited liability partnership) is commonly used to transfer farmland value to children. According to farm CPA Paul Neiffer, “Each [FLP, LLC, or LLP] allows the land to transfer in and out of an entity with little or no tax liability and provides a shield against personal liability for any debts of the entity.” Another option is to form a trust. There are many types of trusts. 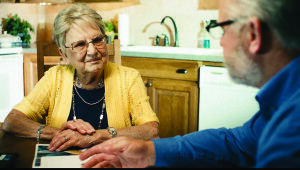 The benefits of the latter two methods include the ability of the older generation to meet his or her retirement needs while simultaneously allocating income and passing on wealth to the next generation. Estate planning is a vitally important part of ensuring that the work you’ve put into your farm and land is kept intact as you head into retirement. It is important to pass along your assets to your children and grandchildren, without leaving them a heavy tax burden in the process, while also ensuring a financially secure retirement for yourself. If you have questions about estate planning, contact a UFARM land manager; they are able to help you sort through your options and point you in the right direction. Sources consulted: Danes, Sharon, Goetting, Marsha, et al. “Transferring Your Farm or Ranch to the Next Generation.” Montana State University Extension. Feb. 2014. Web. 08 Sep. 2014. Neiffer, Paul. “The Farm CPA: The Gift Land Rush.” Agweb. Farm Journal. 28 Nov. 2012. Web. 08 Sep. 2014. 1031 Exchanges Coming to an End? At some point during any farmer or landowner’s lifetime, they will likely be involved with the sale and acquisition of land. Deferring the capital gains tax on the sale of land to a later date by purchasing more land—in what is known as a 1031 exchange—is a common practice that has been employed for many years. Several proposals by the federal government to significantly alter the 1031 Section of the IRS code have many in the real estate business wondering about the future of 1031 exchanges, and how this might affect multiple industries, including farmers and landowners. A 1031 exchange is a very useful tool for investors. 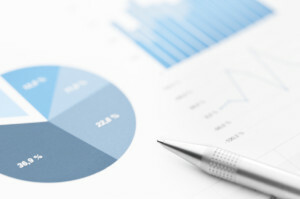 In technical terms, “A 1031 exchange allows an investor to defer the recognition of capital gains when exchanging one appreciated investment property (the ‘relinquished property’) for another ‘like-kind’ investment property (the ‘replacement property.’)” In most 1031 transactions today, the investor employs a qualified intermediary (QI) to facilitate the sale of the relinquished property to one party and the purchase of a replacement property from another party. The replacement property must be equal to or greater in value to the relinquished property. The capital gains are thus deferred to a later date, when the replacement property is sold or transferred with non-like-kind property. As such, 1031 exchanges are not tax loopholes; they are merely a deferred payment of taxes. Commercial real estate expert Scott Saunders explains, “The essential logic is that the investor, in exchanging one appreciated property for another like-kind property, has not realized the gain inherent in the relinquished property. The investor has merely changed the form of his investment.” Thus, since no profit is realized in the transaction, there is no premise for taxation. It is no secret that 1031 exchanges are friendly to investors, businesses and business owners, farmers, and landowners. The advantages of 1031 exchanges are numerous. They make sound business sense, helping investors grow, change locations, diversify and expand, thereby creating jobs, further financial opportunities and economic stimulus to a wide array of other economic sectors. Consequently, it is troubling to many that the federal government is looking to alter—and in some cases, eliminate—1031 exchanges, in order to increase federal tax income. Two separate proposals, one by former Democratic Senator and current China Ambassador Max Baucus and another by US Rep. Dave Camp (R-MI), would eliminate all 1031 tax exchanges. President Obama’s latest budget proposal would limit the deferred taxes in a 1031 exchange to $1 million dollars per taxpayer per taxable year beginning January 1, 2015. Of course, should these proposals pass, the effect would not, in fact, produce more federal tax revenue. In reality, the likelihood that investors would simply hold onto properties rather than sell without the ability to defer tax payment through 1031 exchanges would greatly increase. Accordingly, the beneficial economic ripple effects to other financial sectors would lessen as well. Saunders urges taxpayers and voters to educate legislators on the many benefits that 1031 exchanges offer in order to put a stop to the potential elimination of 1031 exchanges. Are you looking to sell land, and are wondering about how a 1031 exchange would work for you? Are you concerned about how these potential tax changes might affect you and your land? Contact a UFARM representative with your concerns—they are glad to help. Sources consulted: Saunders, Scott. “1031 Exchanges Face Uncertain Future.” Rebusiness Online. 06 May 2014. Web. 02 Sep. 2014.
https://ufarm.com/wp-content/uploads/2017/01/UFARMlogo-tagline-300x95.jpg 0 0 UFARM Managers https://ufarm.com/wp-content/uploads/2017/01/UFARMlogo-tagline-300x95.jpg UFARM Managers2014-09-05 14:10:052014-09-05 14:10:051031 Exchanges Coming to an End?